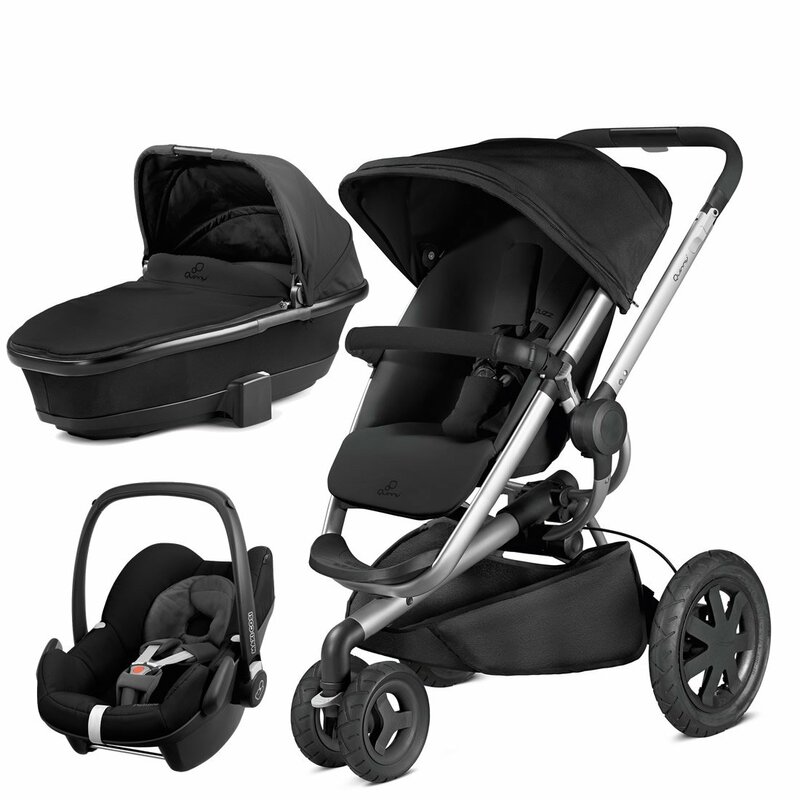 Quinny Buzz Xtra Rocking Black with Carrycot and Pebble Car Seat City challenges are no match for the Quinny Buzz Xtra pushchair. Move around smoothly without any hassle, locking the swivel front wheel on rough terrain. Features an XL sun canopy. The Foldable Carrycot fits the Quinny Buzz Xtra and offers optimum lie-flat sleeping comfort for your newborn up to around 6 months. Features an XL sun canopy. The Foldable Carrycot fits the Quinny Buzz Xtra and offers optimum lie-flat sleeping comfort for your newborn up to around 6 months.